A 55-year-old man from New York has been arrested and charged with threatening to attack and kill Democratic Rep. Elhan Omar, a Minnesota congressman, federal prosecutors said. In a statement on Friday, the US Justice Department said Patrick Carlino would face up to 10 years in jail and a $ 250,000 fine. Prosecutors said that Carlino spoke by phone to an assistant to Elhan on March 21 and asked him: "Do you work for the Muslim Brotherhood? Why do you work for it, it's terrorist, I'll shoot a bullet at its skull." The Justice Department said the threat was referred to Congressional police, which launched an investigation in coordination with the FBI. According to an FBI agent, Carlino appeared angry during the call but gave his name and contact. The client added that Carlino told investigators at his home that he "loves the president and hates the extremist Muslims in our government." Carlinho appeared before the court at a procedural hearing on Friday and is currently in custody pending another hearing on April 10. There were no comments from representatives of Elhan. 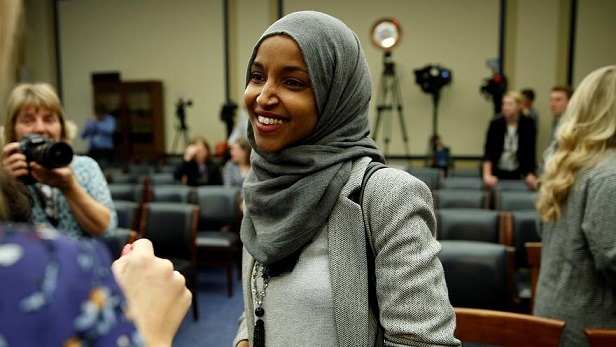 He is a member of the House Foreign Affairs Committee and was elected in November to become one of two Muslim women who won two seats in Congress.